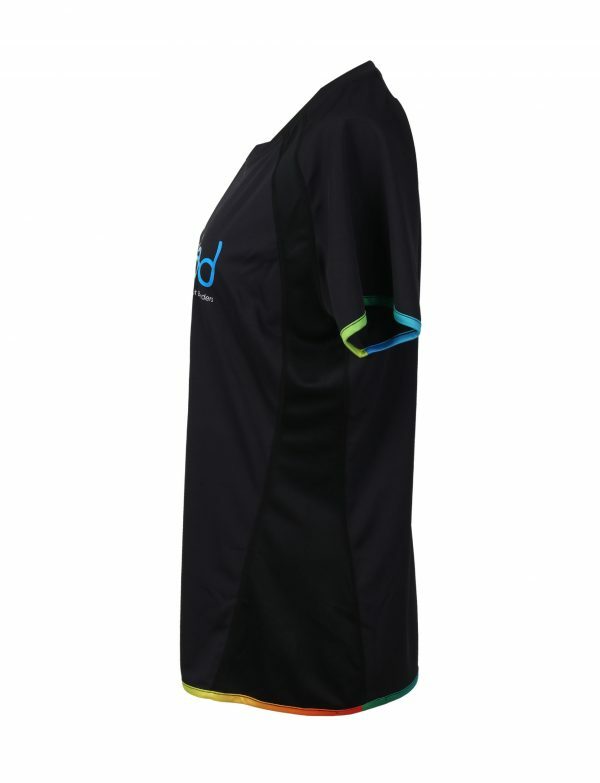 Bulgue Tee a comfortable item to wear. 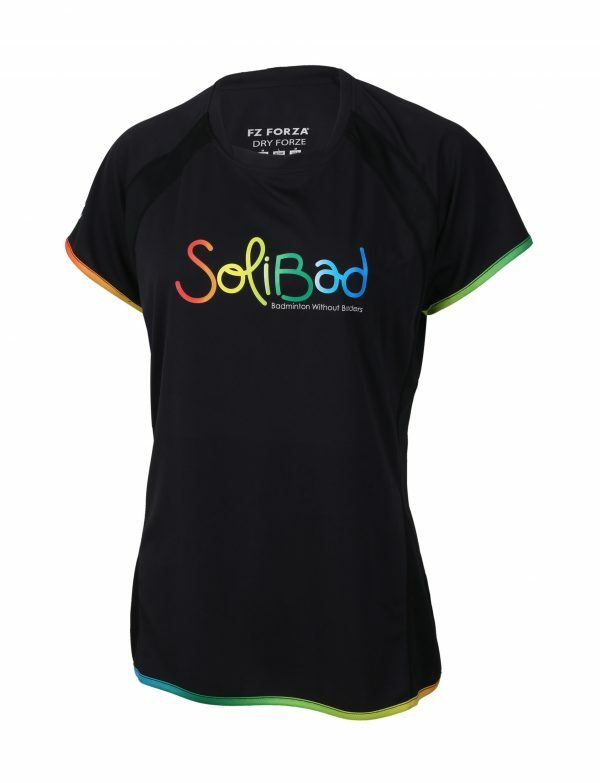 All black tee with the colourful Solibad logo on the front chest. 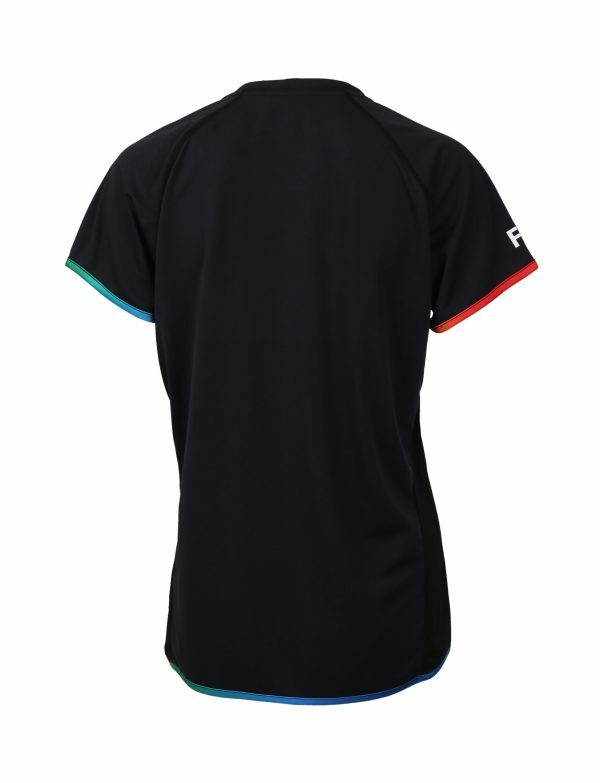 Using the colours from the logo in the edging on the sleeves and at the waist. 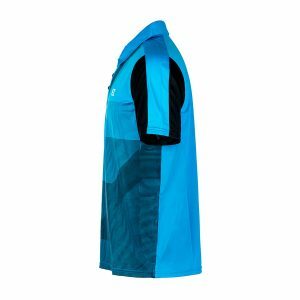 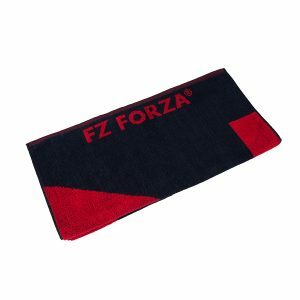 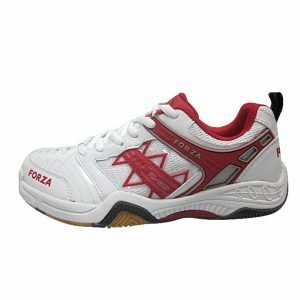 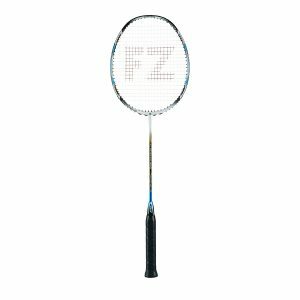 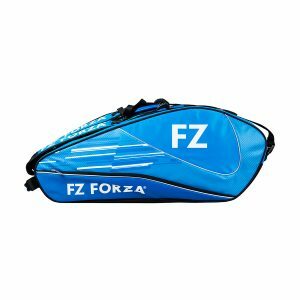 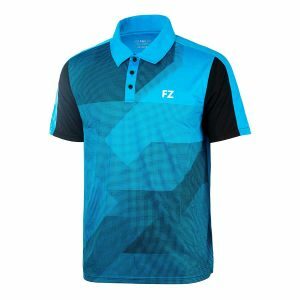 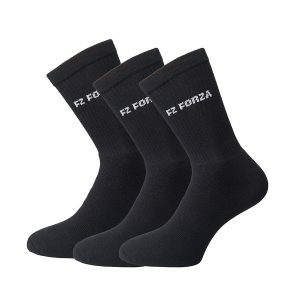 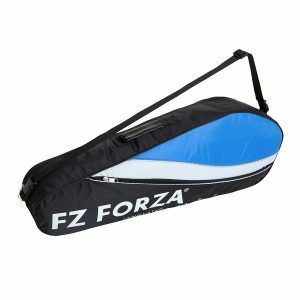 FZ Forza is not just a manufacturer of badminton equipment and clothing of good quality, but also a string acrot in developing the badminton community around the world. 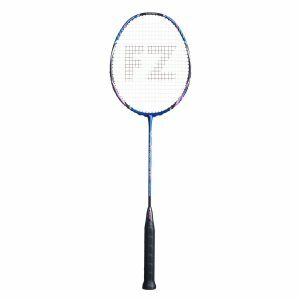 The belief of Solibad and FZ Forza complement each other and create a strong and meaningful partnership. 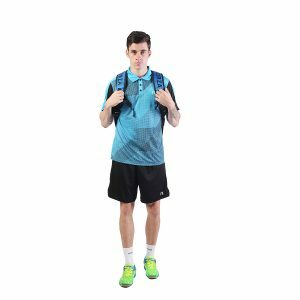 The philosophy of Solibad is to bring the badminton community together to collect funds in order to help projects involving children in different parts of the world. 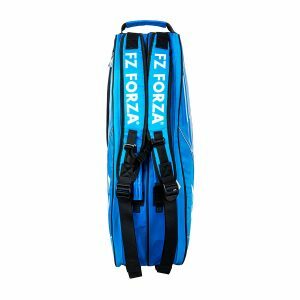 FZ Forza supports the non-profit organization by donating 1000 rackets a year and by donating 8% of the sales of this Solibad collections.